A pair of Watson x7 stereomicroscope eyepieces in good condition. A set of Leitz 30mm diameter eyepieces inscribed Geo Lab 944b, c, d and e. Two are x10 and two x5. Complete with the original satin lined case. A collectors item. In excellent condition this is a x5 wider field eyepiece. 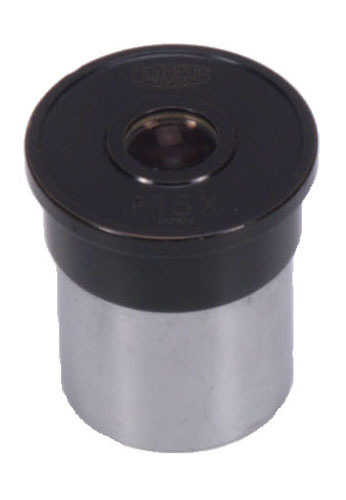 It is unusual to get a x5 eyepiece with a standard eyetube diameter with a good sized exit lens. A pair of Zeiss Jena x25 stereomicroscope eyepieces. Only really suitable for a Zeiss Jena microscope. Condition good. The Zenith MBS 9 and 10 were probably the best value for money stereomicroscopes that came out of Russia and possibly the world at that time. This is a set of pairs of x6, x12.5 and x8 with one of the x8 having a graticule. Condition excellent. One of the last of the UK made microscopes. This is a Vickers x10 eyepiece in good condition. Fits all other makes with standard eyetubes. A pair of x10 Wild stereomicroscope eyepieces. Chrome and black and in excellent condition. 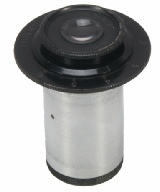 Fits 30mm internal diameter eytetubes. equal the scale readings. Very unusual. In good condition for its age this is a x8 Leitz Periplan eyepiece. Fits standard eyetubes of most microscope makes. In good condition for its age this is a x15 Olympus eyepiece. Fits standard eyetubes of most microscope makes. In good condition for its age with some tarnish to the chrome this is a x6.3 Reichert eyepiece with a cross hair graticule that can be focused. Fits standard eyetubes of most microscope makes. In good condition for its age with some tarnish to the chrome this is a x8 Reichert plan eyepiece . Fits standard eyetubes of most microscope makes. In extremely good condition - probably unused, this is a phase contrast telescope with a focusing front lens. 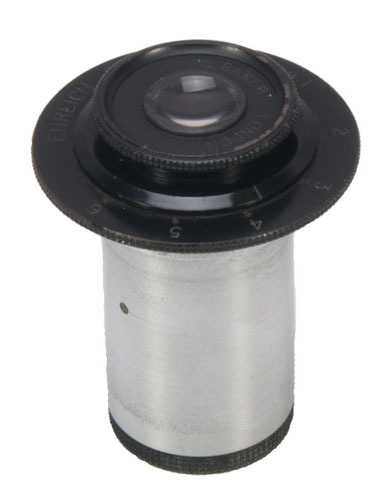 Standard eyetube diameter fits most microscopes. A nice pair of Nikon HK wide field eyepieces. Black and chrome and standard eyetube diameter. Will fit most microscopes. 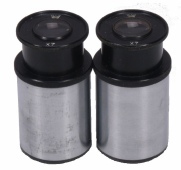 A pair of Wild x6 eyepieces for the M20 and other compound microscopes. X6K and in excellent condition. This is a pair of Reichert plan eyepieces. The general condition is excellent although the chrome is a little tarnished as would be expected for their age. Otherwise perfect. This is a pair of Watson x10 eyepieces that fir their stereomicroscopes. The general condition is good. A phase contrast eyepiece telescope by Reichert. The front lens can be moved in and out and clamped in order to focus on the phase rings of the condenser and the objective. Condition good. A Nikon x10 HKW eyepiece in very good condition. Will fit other makes with standard eyetubes. A Carl Zeiss x8 Kpl eyepiece in good condition. Will fit other makes with standard eyetubes. 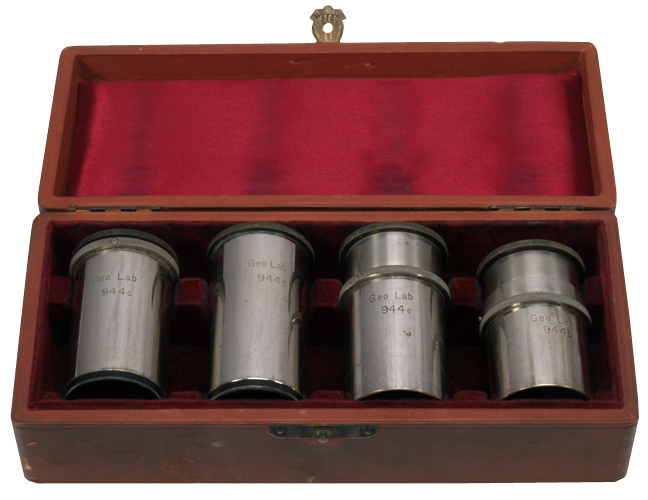 CTS was one of the early British microscope manufacturers and it is getting difficult to get additional eyepieces in anything like reasonable condition. This example has been well looked after and whilst it shows some signs of its age it is in good condition. Baker was one of the principal microscope manufactures through the post war era. This eyepiece is a x8 compensating (suitable to be used with plan objectives) and is in good condition. A Carl Zeiss x12.5 eyepiece in good condition. Fits all other makes of compound microscope that have standard eyetubes. A Nikon phase contrast eyetube telescope that will fit all the current Nikon compound microscope models with 30mm eyetubes. Good condition.